The young man was getting divorced and had moved in with his parents, but police don't know what led to the violence. FREEPORT — A father and son died Tuesday in an apparent murder-suicide in their home at 53 Durham Road, state police said. 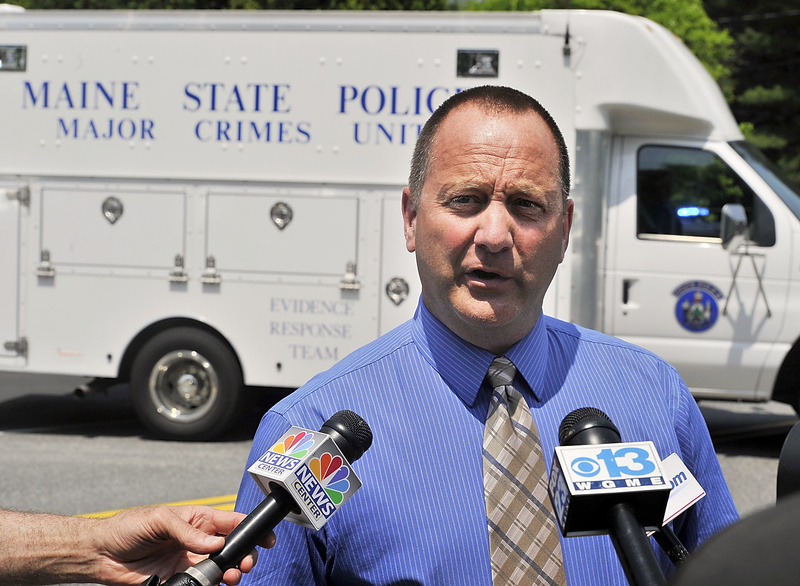 John Dorrington, 64, apparently shot his son, Nicholas Dorrington, 32, while his son was in bed Tuesday morning and then killed himself, said state police spokesman Stephen McCausland. 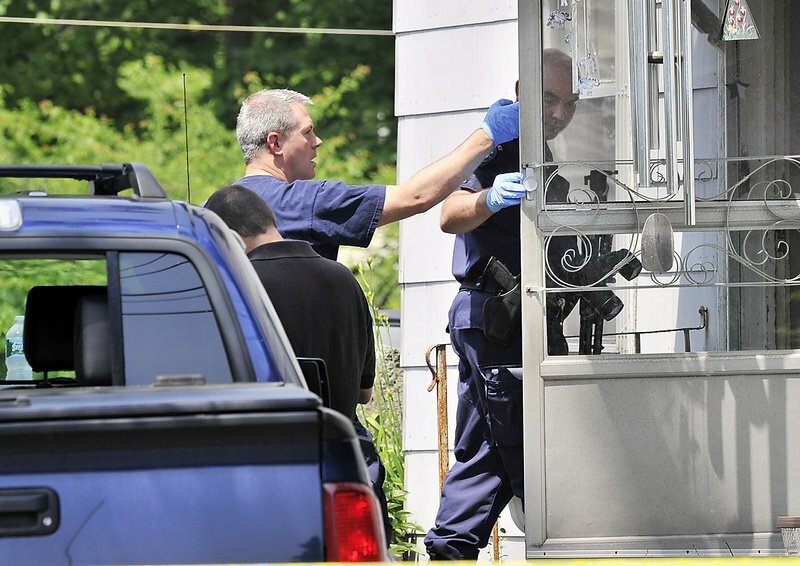 Maine State Police evidence technicians enter the home on Route 136 in Freeport where a father and son were found dead Tuesday. Gordon Chibroski / Staff Photographer. John Dorrington was an employee of L.L. Bean in Freeport, and his wife, Joyce, works there. When he didn’t report to work or answer the phone Tuesday, she went home to check on him and found both men dead in her son’s bedroom, McCausland said. Nicholas Dorrington was going through a divorce and had moved in with his parents recently. Police said they were unsure whether the divorce had been finalized. The investigation is focusing on what led to the violence, but “we do not have an answer” yet, McCausland said. Police arrived at the Dorringtons’ home during the late morning and used tape to block off the yard around the two-story gray house. There also is a detached brown barn on the sparsely wooded lot at the intersection of Durham and Beech Hill roads. By noon, state police detectives were on the property and in the house, and a truck used by technicians to analyze evidence was in the driveway. The house is across the street from Burr Cemetery. Members of the Dorringtons’ family, and friends and neighbors gathered across the street alongside the cemetery. Some hugged and wiped tears from their eyes. They declined requests to be interviewed. By 2:45 p.m., police had removed both bodies from the house to be taken to the state Medical Examiner’s Office. Judy Krzywon, who lives across Durham Road from the Dorringtons’ house, said Tuesday afternoon that she had never met the men. Krzywon said she had never heard noises or arguments at the house.